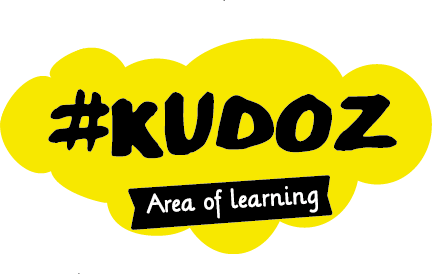 A city of learning is a city wanting to share Kudoz values and experiences with their staff and residents. What’s it take to be a city of learning? All you have to do is host 10+ experiences a month. Why? Because your city is a total playground for learning – via Parks & Recreation, Engineering, Waterworks, Horticulture, you name it. In exchange, we’ll add your logo to our materials and give you tonnes of publicity showing how your city is advancing intellectual accessibility. Why be a city of learning? Improve staff morale & engagement. We set up your staff with teaching tools that not only allow them to celebrate what they do, but have a deeper understanding of their own practice. That trickles down, and other residents better understand the cities they live in. This is leading by example. Address the needs of all residents. A city’s accessibility has historically been marked based on how easily those with physical disabilities are able to navigate it. By joining as a city of learning, your city is addressing the needs of residents living with cognitive disabilities and leading the way in being an inclusive, great place to live for all. Amplify your disability confidence. Meet and gather around local people living with disabilities, and allow city staff to learn more about how to support them. We’ll come meet with your Human Resource Department. We will sort logistics, and get your listings online! Business Improvement Associations (BIA) are community gems that connect-up local merchants. A BIA of Learning is a BIA that wants to improve their accessibility to all, and draw more of the public to them. We’re not asking for employment, just an hour to take someone through a business, meet an owner, and share what they do. Real, hands on learning, with real hands on people. What’s it take to be a BIA of learning? Have 3+ businesses in your network become Kudoz hosts. By opening up doors, Business Improvement Associations can further help local merchants showcase what they are doing. Use your logo. Get publicity and show your BIA’s true colours, while partnering with awesome locals, consumers, and the Kudoz network. We’ll come meet with your President or Staff Team. We can present Kudoz at your upcoming BIA meeting. We can go door to door in your area, with your support. Why be a BIA of learning? Accreditation. We’ll share the profiles of your businesses on our website, make you Kudoz storefront stickers, and we will take professional photos of your space (and be sure to give you copies). Sense of community. True community is about including everyone. With Kudoz, you have the opportunity to address not only physical accessibility of your businesses, but also intellectual accessibility! Ownership. Own what you do! 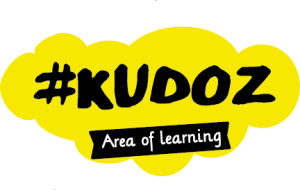 Kudoz is a new way of thinking about what your business is up to, day to day. How to showcase it. And learn more about yourself! Network. By hosting experiences, you open your network to a completely new demographic, their families, their friends, and all of Kudoz. It’s promotion, all while being a chance to put your best foot forward! Watch Satsuko share how your BIA can benefit from Kudoz!